Audio beat shifting / tempo changes made with multiple regions function more intuitively. 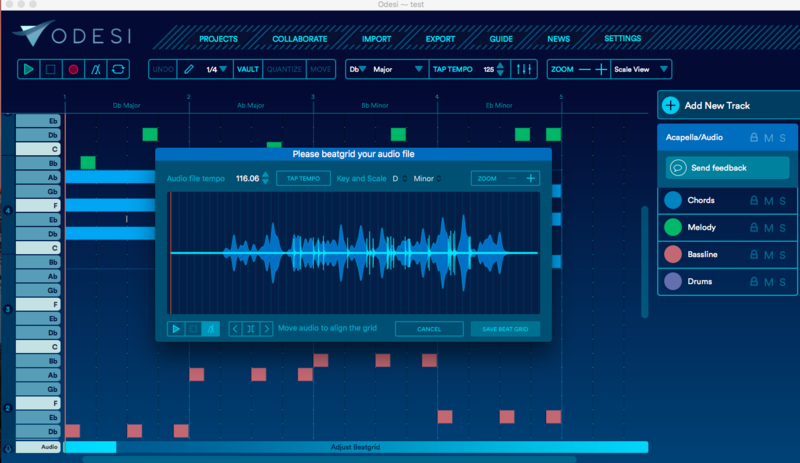 Fixed issue when moving audio waveform to the right in the Audio Beatgrid dialog. Chords are the default layer selected. Reverb for Drums is set to 0 by default in Windows.